Participants receive sustained mentoring and gain experience working as a team to make a real-world impact. Most teams collaborate with partners outside Duke, including companies, nonprofits, universities, school systems, hospitals and government agencies. Many team members take their research further through grants and other opportunities within Duke and beyond. Duke’s Directors of Academic Engagement are available to help undergraduates develop their own educational pathways of interdisciplinary experiences. Bass Connections has been, by far, the best learning experience I have had in my life. The multidisciplinary team approach helped me learn in new ways. I have formed close friendships with everyone on my team. This experience has led me to find a topic of study I am truly passionate about. 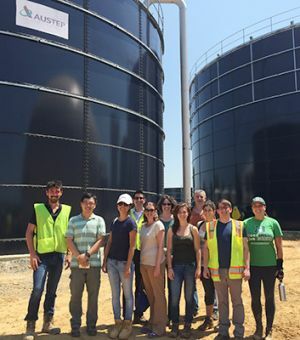 Graduate and professional students learn connections between traditional disciplines and the professions, receiving an interdisciplinary education involving collaborative work on concrete problems and projects. 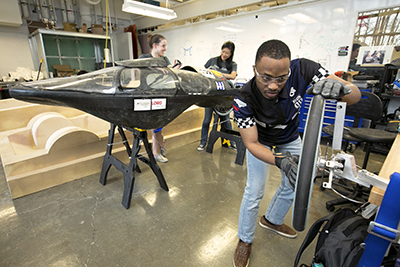 Working in teams, students collaborate with faculty, postdocs and outside experts on cutting-edge research that spans subjects and borders. 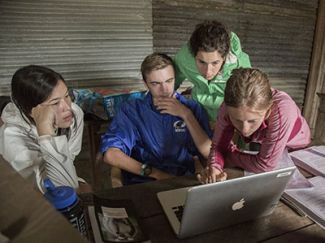 Graduate and professional school students play a crucial role in Bass Connections—often as project managers on year-long project teams, as mentors for Data+ and Story+ summer teams and as research or teaching assistants for faculty who design and deliver Bass Connections courses. As a graduate student, I got invaluable experience mentoring undergraduates and leading them as a team. I also established new interdisciplinary collaborations that allowed me to learn new skills and new topic areas, which was important for my professional development. To learn more about Bass Connections, please explore our project teams, courses and summer programs. Read what other students say about their Bass Connections experience. Still have questions? Review our Student FAQ and feel free to contact us.